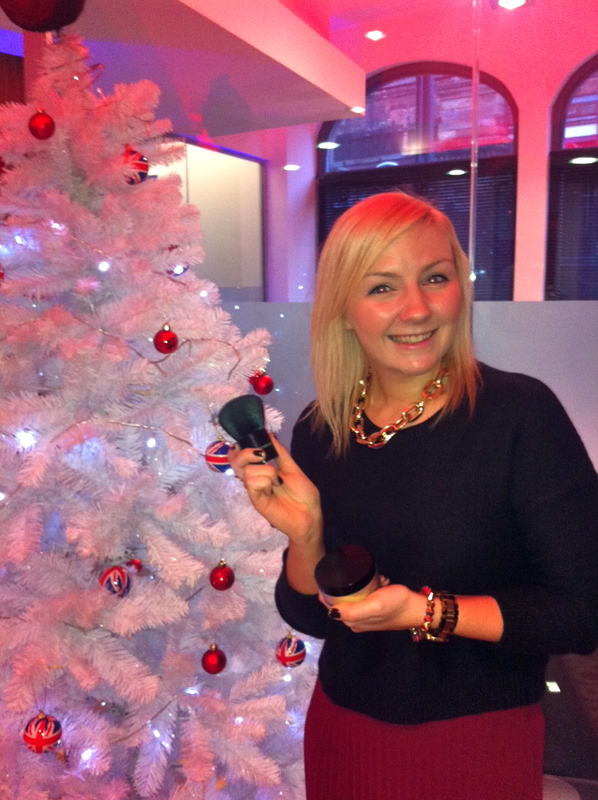 Next behind our window we have Charlotte, Illamasqua’s Project Manager! I am the Illamasqua Project Manager at Propaganda, Illamasqua’s marketing agency based in Leeds. In my role I’m lucky to get involved in a little bit of almost everything Illamasqua does, from organising photo shoots, to bringing our seasonal collections to life, designing new packaging or running Illamasqua.com… the list could go on! How do I pick! Skin Base has absolutely changed everything l previously thought about foundation. But l often think one of our unsung heroes is Powdered Metal, applied with the Kabuki Body Brush. This metallic loose powder can be dusted over shoulders and décolletage for a soft highlight or built to an intense metallic glow. Its my absolute must when heading out the door this Christmas party season; if you need any more convincing just check out Wanton Woman from our AW10 Art of Darkness collection – she positively glows! Freak, Freak, Freak! It really was a labour of love as l saw the process develop the whole way through from trying out all the test scents, to designing the bottle, to producing the Freak film and photo shoot with the stunning Nic Endo and launching the Freak page on Illamasqua.com. When l saw the bottle propped up in Bloomingdale’s in New York last month l let out a little scream of delight! I have some big projects coming up at the beginning of next year but I’m most looking forward to launching our new SS12 collection! After shooting it in London recently. I promise it will blow you away. Plus we will be launching it on a whole other level than ever before – that is after all the Illamasqua way.